If press releases are to be believed, pro-choice and pro-life advocates both had a banner year at Arizona’s Capitol. While Planned Parenthood Arizona boasted in a press release that lawmakers were forced to repeal two anti-abortion laws in one fell swoop, the Center for Arizona Policy touted in its own statement that, thanks to legal action – spurred by their push for the passage of an anti-abortion bill in the first place – abortion providers will no longer be able to lie about the effects of medication abortions. Too many women have regrets after taking the first of two pills required of a medication abortion, Herrod claimed, only to be told there’s nothing that can be done in between doses. While repealing most of the underlying law adopted last year in SB1318, a new measure signed by Gov. Doug Ducey now requires doctors and abortion clinic staff to inform women who are having second thoughts about having an abortion after taking mifepristone, the first pill required of a medication abortion, that the first drug alone is not always enough to end the pregnancy. “That is absolutely revisionist history. All the litigants, including us in the case, have said that mifepristone alone is only effective some of the time. Nobody’s denied that,” she said. Herrod’s statement refers to testimony from Dr. Courtney Schreiber, an associate professor of obstetrics and gynecology at the University of Pennsylvania, during discovery in Planned Parenthood Arizona v. Brnovich, the lawsuit filed to challenge S1318 in 2015. In the pre-trial interview, Schreiber said there is a wide range in the estimates for the survival rate of a fetus after taking mifepristone alone, and not the second drug, misoprostol. “The range of continuing pregnancies after mifepristone alone may be anywhere from between 20 percent and 80 percent,” Schreiber said. 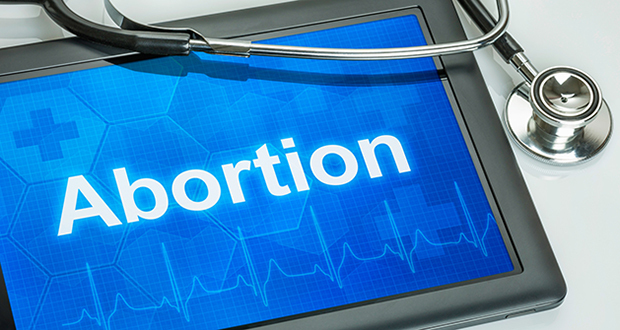 Liggett said whether mifepristone alone could sufficiently terminate a pregnancy was never the issue, and it was not the subject of litigation. The suit centered on the state, by law, requiring doctors to tell women who are seeking an abortion that it “may be possible to reverse the effects of a medication abortion if the woman changes her mind, but that time is of the essence.” Doctors were also required to tell their patients that information and assistance in reversing the effects of a medication abortion is available on the Arizona Health Department’s website. “The subject of the litigation was, can you reverse medication abortion and can you force doctors to tell patients that? And the answer to both those questions is no, and that’s why they were forced to repeal the law,” Liggett said. In a competing press release, Planned Parenthood Arizona characterized 2016 as an “unusually embarrassing session” for the Center for Arizona Policy, and cited the repeal of abortion-reversal language in state statute as cause for celebration. Josh Kredit, an attorney for the Center for Arizona Policy, said the group knows of a woman who, prior to the passage of last year’s law, regretted her medication abortion and went back to Planned Parenthood for answers. “She was told nothing can be done, your baby’s going to die, and you need to take that second pill. With that situation, we know that they don’t tell women that right now,” Kredit said. He said he’d reframe the repeal of the 2015 law as a rewrite, “because I think we’ve been able to keep the spirit and intent” of the law. “Now, we know that they will admit this in court, yet they will hide it from women. So, now, because of S1112, they cannot intentionally hide this from women who may come back and are seeking answers,” Kredit said. State lawmakers were also forced to repeal SB1324, signed by Ducey in March just days after the federal government updated standards for administering medication abortions. Had the bill been left in law, the state would have required use of outdated U.S. Food and Drug Administration standards to administer the drugs. The Center for Arizona Policy was instrumental in pushing for the law’s passage.